Registering an event listener is very easy using the Form component. 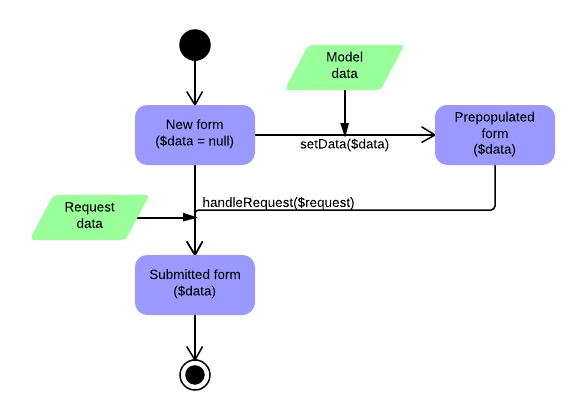 The collection form type relies on the Symfony\Component\Form\Extension\Core\EventListener\ResizeFormListener subscriber, listening to the FormEvents::PRE_SET_DATA event in order to reorder the form's fields depending on the data from the pre-populated object, by removing and adding all form rows. 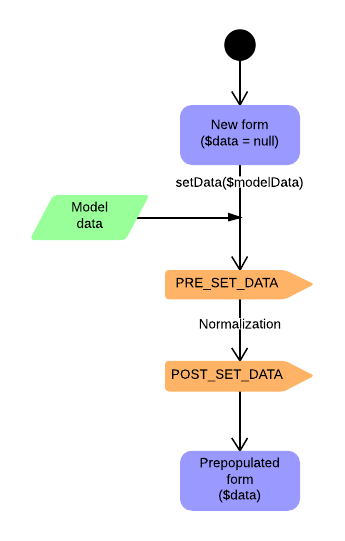 The FormEvents::SUBMIT event is dispatched just before the Form::submit() method transforms back the normalized data to the model and view data. 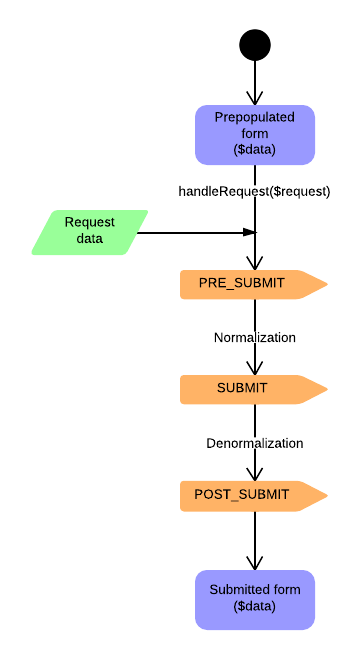 An event listener may be any type of valid callable. // Check whether the user has chosen to display his email or not. // display his email or not.